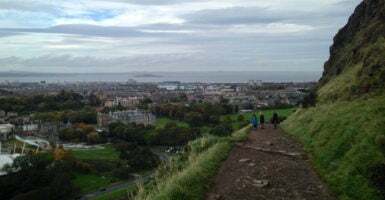 EDINBURGH, Scotland—Scottish nationalists’ dreams of independence from the United Kingdom have gotten a fresh set of legs due to the tandem effects of Catalonia’s ongoing gambit for independence from Spain, and Britain’s floundering, ongoing Brexit negotiations. At an SNP rally in Glasgow this week, speakers invoked Catalonia’s example to resurrect a pro-independence movement that had fallen out of favor among Scottish voters, according to polls over the summer. In the days leading up to Catalonia’s Oct. 1 independence referendum, it was common to come across people on the sidewalk in Edinburgh wearing pins emblazoned with the word “sí”—Spanish for “yes.” The pins were an expression of solidarity for Catalonia’s independence movement. On Oct. 1 there was a rally in Edinburgh to support Catalonian independence. Hundreds took to the streets, waving both Scottish and Catalan flags. On Twitter, the hashtag #ScotsForCatalonia became a rallying cry for pro-independence Scots. 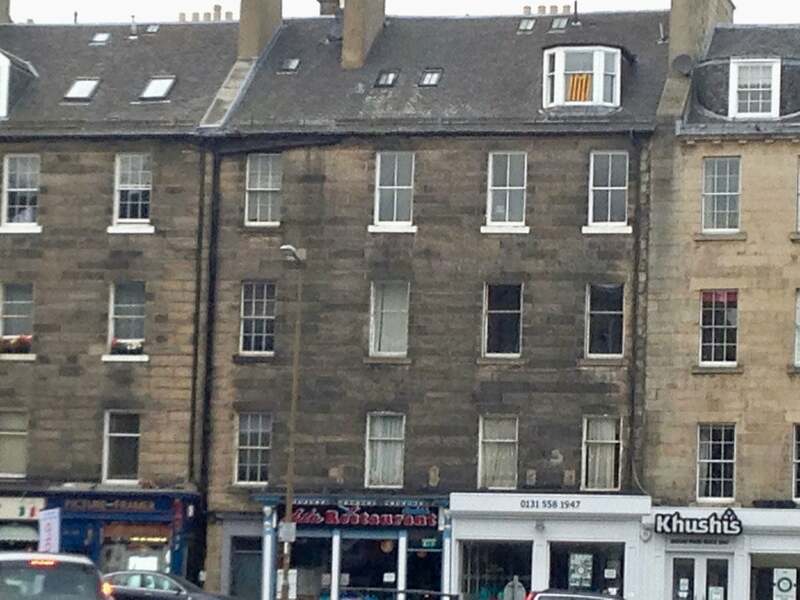 Weeks later, there are still Catalan flags hanging from windows in Scotland’s capital city. Catalonia, an autonomous region in Spain, held a disputed referendum on independence on Oct. 1. A delegation of SNP activists went to Catalonia to support the vote. About 90 percent of Catalan voters supported independence; while only 43 percent of eligible voters participated. Spain’s Constitutional Court said the vote was illegal. Spanish authorities cracked down on the referendum vote, and Catalan officials accused the Spanish government of authoritarian tactics harkening back to the days of Spain’s Fascist dictator Francisco Franco. On the day of the vote, about 900 people were injured due to police actions. Catalan leaders signed a de facto declaration of independence on Tuesday, setting off a tense back and forth with Madrid, which has put Catalonia’s special autonomous status in jeopardy. Scotland is one of the United Kingdom’s four countries—the other three include England, Northern Ireland, and Wales. Scotland has its own parliament and first minister. Scottish members of parliament also sit in the U.K.’s central parliament in London. 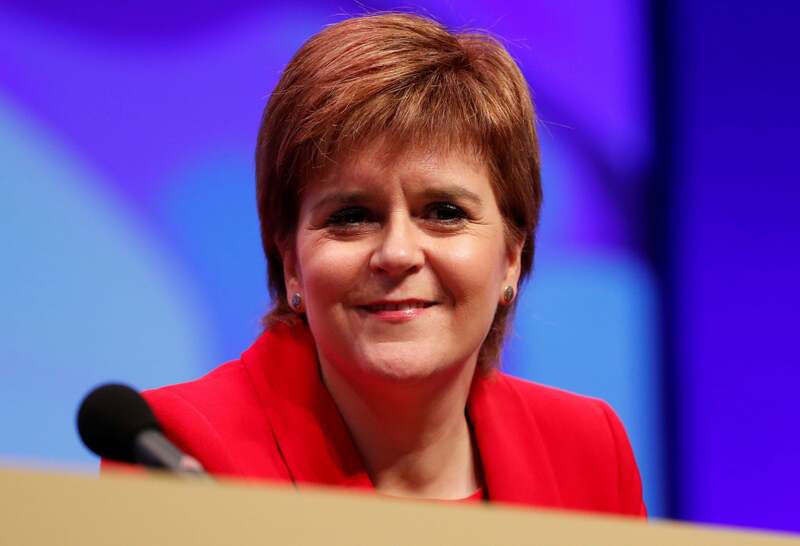 At the SNP rally in Glasgow on Tuesday—the first event of its kind since June’s national Parliamentary election—Sturgeon dug her heels in on the independence issue. Seven months into negotiations, the U.K. and the EU are at an impasse over the basics of the Brexit plan. A key sticking point are the rights of EU citizens living within the U.K.—an important issue in Scotland, too. About 130,000 EU citizens live in Scotland as legal residents, making them a key voting bloc for any future referendums on independence. Frustration is mounting across the U.K. due to ongoing uncertainty over what Brexit will ultimately look like. That sense of frustration is particularly evident in Scotland, where voters overwhelming voted to remain within the EU in 2016. “The case for independence doesn’t depend on Brexit, but Brexit does show us what can happen when we don’t control our own future,” Sturgeon said Tuesday. The Brexit negotiations have tapped into deeply rooted, simmering resentment among Scots that their interests are unfairly represented in British government. This feeling of unfair representation cuts across both politics and culture. One widespread complaint at the moment, for example, is that Scottish soccer teams are not given enough airtime on Scottish TV channels. 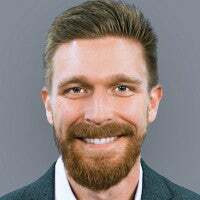 For their part, many Scottish politicians are concerned that Britain’s national parliament will hash out a final Brexit deal that prioritizes England’s interests over Scotland’s. This slow drip of grievances could, some say, rekindle the independence debate in Scotland—especially if Scottish voters ultimately consider the terms of Brexit to be unfair. Yet, polls indicate that Scottish voters have, for the moment, soured toward the idea of another independence referendum. A 2014 Scottish popular referendum on independence, championed by the Scottish National Party (a longtime proponent of independence) failed decisively. About 55 percent of Scots voted for remaining in the U.K., versus 45 percent voting for independence. Over the summer, polls suggested support for independence was continuing to decline among Scottish voters. Sturgeon’s closing argument in the June campaign included calls for another independence referendum sometime in the future. Sturgeon’s party, the SNP, subsequently lost 40 percent of its seats in Britain’s national parliament. Many political analysts, including some SNP party members, blamed the party’s losses on voter fatigue over the question of independence. Pro-independence Scots, however, say the polls are biased against them. And with Brexit looming on the horizon, they claim the 2014 referendum was not the final word in the independence debate. “Some people are saying we should put independence on the back burner. Why would we ever?” Mhairi Black, an SNP member of parliament, said at the Glasgow rally on Tuesday. “The idea that because we had one vote on the matter we can never exercise our democratic rights on it ever again is utterly ridiculous,” Black continued. For her part, in her speech in Glasgow on Tuesday, Sturgeon walked back from an outright declaration that another independence referendum would happen. Instead, she emphasized the need to refocus the party’s attention on other issues, such as Scotland’s flagging economy and education reform. Ditching the United Kingdom for the sake of negotiating a separate entrée into the European Union is not necessarily a popular line of thinking in Scotland, even though the overwhelming majority of Scots voted against Brexit. For one, Brussels has said that EU entry for an independent Scotland is not automatically guaranteed. And while most Scots would rather remain part of the EU (about 62 percent voted against Brexit on 2016) they also recognize that Scotland’s economy does roughly four times more business with the rest of the United Kingdom than with the EU. Some say the SNP is using the widespread contempt for Brexit within Scotland as a populist clarion call to gin up support for the independence movement to deflect attention from other issues. Sturgeon and other SNP party members have not set a timetable for a potential second independence referendum. For now, the most likely scenario seems to be Scottish Parliamentary elections scheduled for 2021. “There are 1,300 or so days until the next Scottish Parliamentary election and there will also be a referendum on Scottish independence,” SNP deputy leader Angus Robertson said in Glasgow on Tuesday.